On June 12, 1994, the Boeing 777 takes its first flight, kicking off a career that would revolutionize the airline industry. Once every few decades, an airplane comes along and simply redefines what a modern airliner is capable of delivering for airlines and its passengers. Boeing did it with its first jet-powered airliner, the 707. Boeing changed the game again, when it launched the 747 and turned the industry upside down and in 1994 Boeing did it again with the 777. In two decades since its first flight, the 777 became the trusty long-haul workhorse for the world’s international airlines. Through June 23, 2017, Boeing has sold a whopping 1,944 777s, making it the best selling wide body in company history. The following is a short history of the Boeing 777.
the first airliner to be designed completely using a computer. Using 3D computer graphics, Boeing was able to digitally pre-assemble the 777, foregoing the need for costly and time consuming clay models. To produce the 777, Boeing selected its Everett, Washington production facility. Even though the 777-200 is smaller than the 747, it is still massive airplane at 209 feet long with a 191-foot wingspan. The jet’s high bypass turbofan engines built by Rolls-Royce, Pratt & Whitney, and GE are the largest engines ever installed on an airliner. The 777-200 featured a state-of-the-art two-person digital cockpit. In the back, passengers are treated to a more comfortable and quiet ride with greater in-flight entertainment options. The resulting aircraft could carry 305 to 440 passengers up to 8,270 miles. The cask 200 could cruise at 615 mph and fly at 37,900 feet. In 1995, the 777-200 entered service with United Airlines marking the start of the plane’s game changing career. 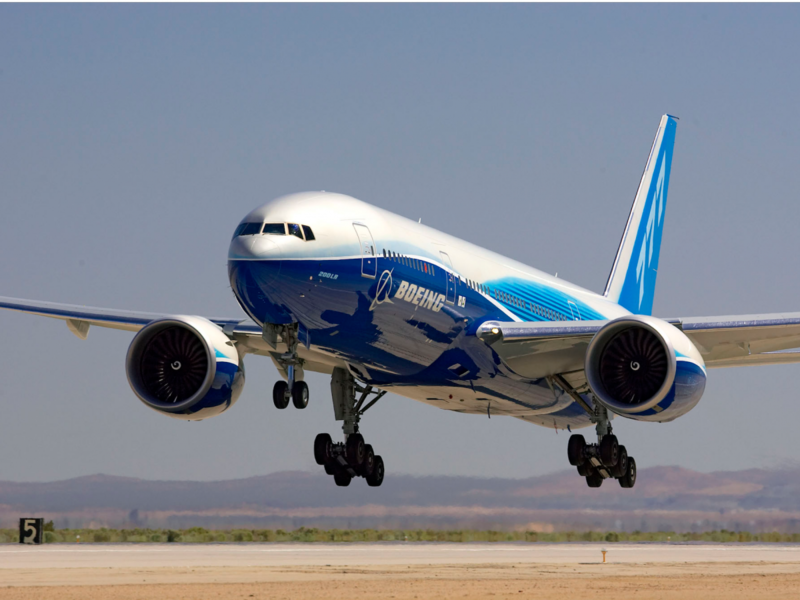 With the 777, Boeing was able to convince the government to give the plane an ETOPS 180 rating. The four-engine jumbo jet was not immune to the market dominance of planes like the 777. Along with the twin-engines Airbus A330, the 777 has decimated four-engine passenger sales. In 1996, Boeing rolled out a more potent version of the 777 with an even greater range called the 777-200ER for extended range. In 1998, Boeing stretched the 777 to create the 550 seat 777-300. Boeing did not stop here. In 2002, extended the range version of the Dash 300 called 777-300ER. With more than 800 sold, the 300ER is by far the most popular version of the 777. In 2006, Boeing introduced the longer range 777-200LR. The 200LR can carry 301 passengers nearly 11,000 miles. With more than two decades of service under its belt, the 777 is getting ready for a major makeover. In 2019, Boeing will introduce the next generation 777-9 and 777-8. Source : Business Insider/Ed’s research. Rolls-Royce has shipped the Trent 7000 engines for the first Airbus A330neo toToulouse. The UK manufacturer says the power plants have left its facility in Derby and will be installed on the re-engined twin jet during this summer, following integration with Safran nacelles at that company’s Toulouse site. Airbus has previously indicated its intent to start test-flying the A330neo toward “end of the summer”, potentially as late as September. 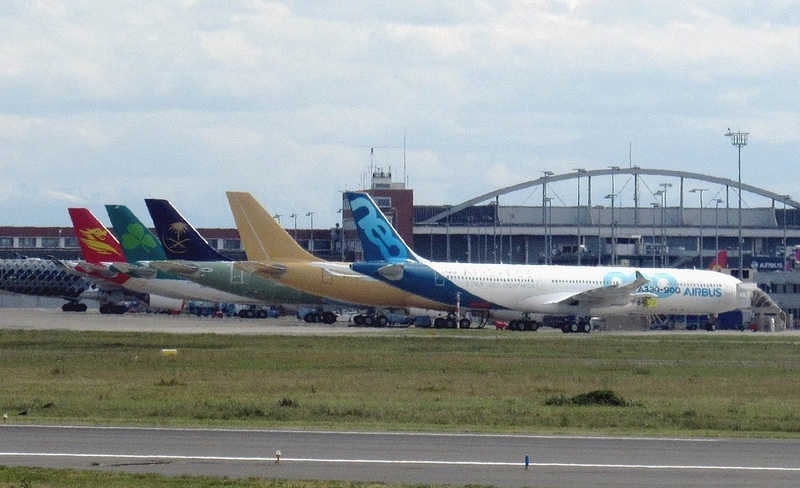 The airframe originally planned for the A330neo to enter service in late 2017. Now, spring 2018 is the target for starting deliveries. The Trent 7000 with twice the bypass ratio of the Trent 700 powering the current-generation A330, Rolls-Royce says the Trent 7000 cuts specific fuel consumption by 10%. 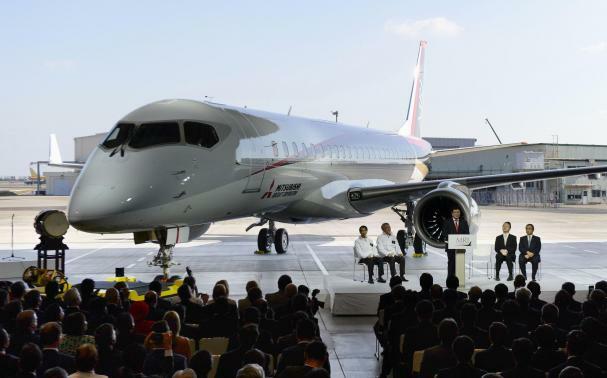 On June 20, Embraer announced at the 52nd International Paris Air Show, that it has signed an agreement with Japan Airlines for a firm order of an additional E190, after Embraer marks one year of E190 operations in Japan. Japan Airlines’ subsidiary J-Air made its first revenue flight in May 2016. J-Air currently operates seven E190s and 17 E175s – 24 E-jets in total, with an additional eight E-jets on backlog. The firm order has a value of USD $50.6 million, based on 2017 list prices, and will be included in Embraer’s 2017 second quarter backlog. 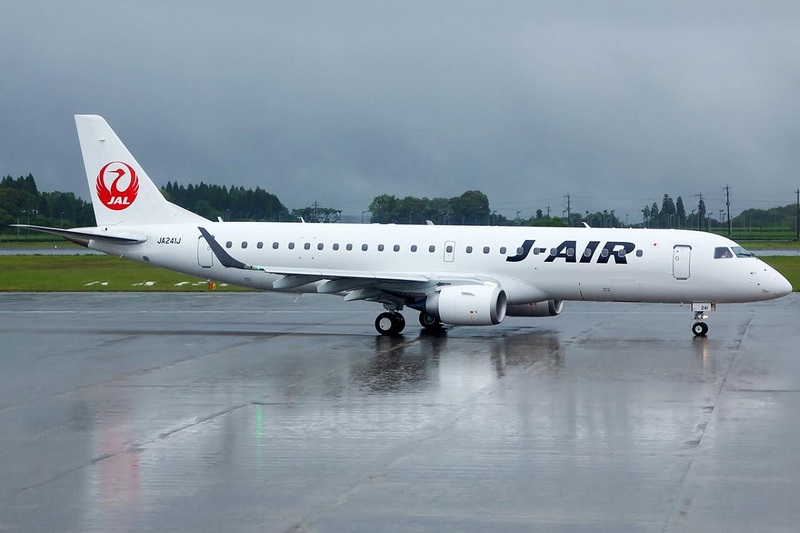 J-Air’s E190 fleet is based at the airline’s Osaka (Itami) base and features a dual-class arrangement with 95 seats, including the well-received Class J (business class) seats, with Free Video Program services for Wi-Fi devices. J-Air’s E-190s currently fly to seven routes in Japan, including services to Narita from Osaka (Itami) and Sapporo that started from June 8. Network growth will continue to include cities like Tokyo (Haneda). General Electric, the world’s biggest jet-engine maker, said it’s not prepared to share turbine production on Boeing Co. planned middle-of-market plane with its two global rivals. Should Boeing opt for multiple suppliers, ”we’re out,” David Joyce, head of GE’s aero-engine arm, said at the Paris Air Show; adding that his company still carries “scares” from being one of three engine providers on the Airbus A330 two decades ago. “Think of the difference between whether you’re sole or not,” Joyce said. ”In terms of how you make the business case and return on investment, it’s no cheaper to build the engine if there’s two of you than if there’s one—but the return on it is a hell a lot different.” GE has already gone through three rounds of submissions on the new Boeing plane, he said. Divisional chief McAllister declined to elaborate on the likely engine architecture of the plane, saying that “it’s still very early in the game”. Dublin-based lessor AerCap Holdings signed lease agreements for 65 aircraft in the 2017 second quarter, more than dubbing the 27 leases the company secured in 2Q 2016. AerCap’s signed leases during the quarter covered 18 wide body and 47 narrow body aircraft, the company said on July 12. 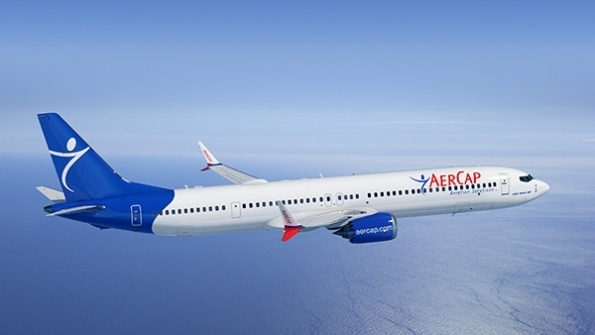 AerCap purchased 11 aircraft in the 2Q (eight Airbus A320neos, one A321neo and two Boeing 787-9s and sold 24 aircraft from its owned portfolio and eight from its managed portfolio. In April, AerCap announced it has signed $7.2 billion in financing transactions during the 2017 first quarter, a figure that, in three months, eclipsed the company’s entire 2016 financing transaction total by $2.6 billion. Canada’s Air Transat expects to become the first North American operator of the Airbus neoLR after it takes delivery of the first 10 it has agreed to lease for 12 years from AerCap starting in 2019. Scheduled for delivery between the spring of that year and the fall of 2020, the A321LRs will replace Air Transat’s aged Airbus A310s, which the airline plans to gradually retire. Air Transat said it will deploy the single-aisle jets on both holiday destinations and transatlantic routes, alongside its Airbus A330s and Boeing 737s. The A321LRS will come configured with 200 seats in dual-class layout. Air Transat’s fleet currently consists of 31 permanent aircraft in what it calls a unique flexible-fleet model. This allows it to deploy more wide body aircraft in summer for high transatlantic season, with narrow body aircraft in winter to cover the high season for leisure destinations. 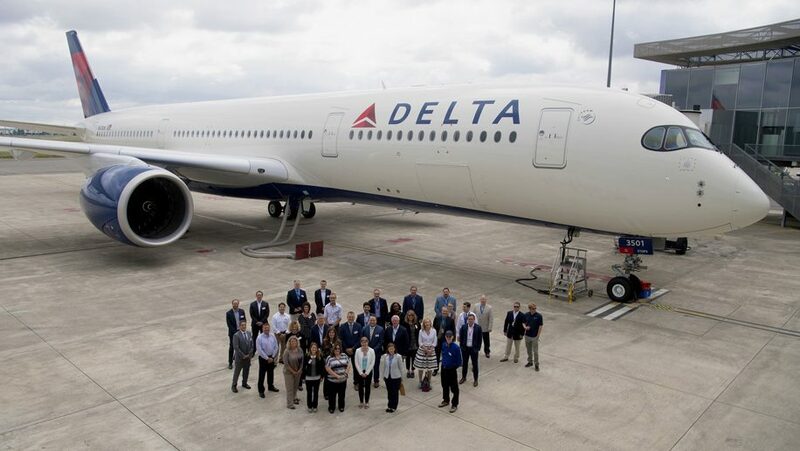 Delta Airlines took delivery of its first of five A350-900s this year, it is the first US airline to operate the type. SMBC Aviation Capital and Chinese low-cost carrier Lucky Air have entered into an agreement for 4 Boeing 737-8 MAXs. 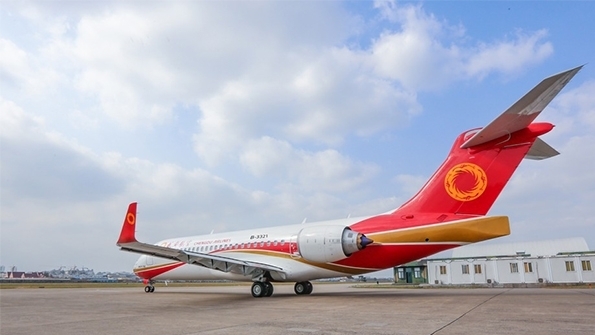 The Civil Aviation Administration of China(CAAC) has approved a production certificate for the ARJ21-700, produced by the Commercial Aircraft Corp. of China (COMAC). AviaAM Leasing delivered an Airbus A321 to Russia’s Aeroflot. 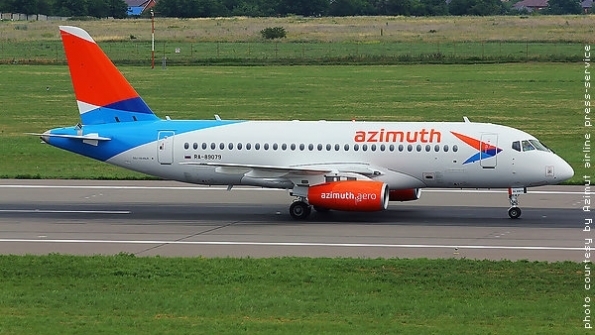 Azimuth Airlines Russia’s new regional carrier, took delivery of its first SS100 aircraft on July 7th. The aircraft is leased by State Transport Leasing Co.
Sunrise Airways, Haiti based airline, received a new Airbus A320, configured in two classes. The 150-seat aircraft features 12 seats in first class and 138 in economy. BOC Aviation has placed an order for four 787-9s which will be leased to Air Europa of Spain. FLY Leasing purchased 4 new aircraft, including a new Boeing 787 and a new 737 MAX 8, its first of the type. The 787 is on a 12-year lease to a European airline and the 737 MAX 8 is on a 12-year lease to an Asian carrier. 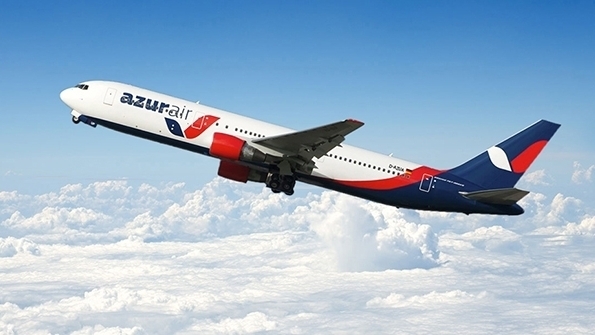 Azur Air, the new German airline, has begun operations and launched its first flight from Dusseldorf to Lama de Mallorca, Spain on July 3. Alaska Airlines is launching flights from Paine Field, (PAE) Washington State, to give passengers living north of Seattle a more convenient alternative to Seattle-Tacoma International Airport (Sea-Tac). West Atlantic Airlines committed to lease 4 Boeing 737-800 converted freighters from GE Capital Aviation Services (GECAS). This will make it the first operator of the type after taking delivery of the freighter later this year or the first quarter of 2018. GECAS launched the 737-800 converted freighter program and gave the prototype aircraft to Boeing in 2016. GECAS expects the conversion to take about 3.5 months, or 100 days, per aircraft. Boeing’s modification facility in Shanghai will do the conversion. 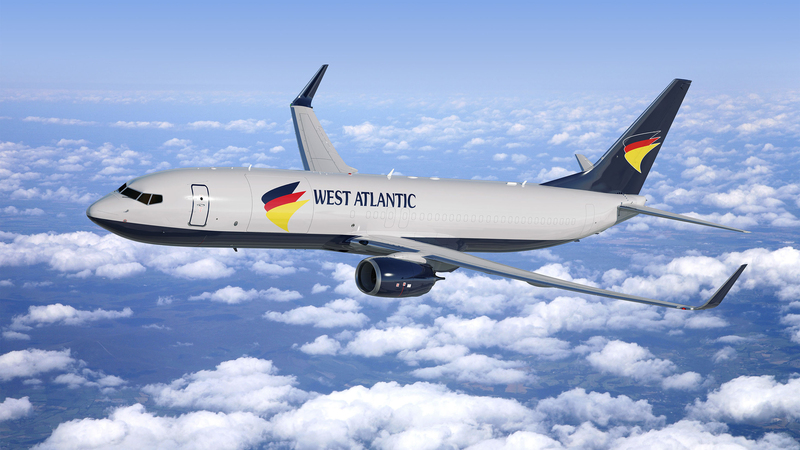 The value of the lease to West Atlantic Airlines, a European operator of mail and express freight, was not disclosed, but the carrier did say the aircraft will enable it to expand into new markets, possibly Asia. The 737-800BCF is powered by CFM56-7B engines and will carry 23.9 tons of cargo over 2,000 nm. 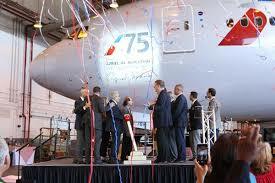 Azreil Blackman celebrated his 75th year of service at American Airlines on July 18th. To put this in perspective, Blackman, who is still actively working for the airline, received the FAA’s Charles E. Taylor Master Mechanic Award for his 50 year of MRO experience 25 years ago. The Aviation Maintenance technician crew chief started with the airline (named American Export Airlines at the time) at New York’s La Guardia Airport at age 16 as a sheet metal shop apprentice for $0.50 per hour. The 91-year-old, who moved to New York LaGuardia Airport in the 1960s, has worked on almost all the airline’s aircraft including from the 1940s to today’s aircraft. Next month Blackman will turn 92. American noted that his shift starts at 5 a.m, but he usually arrives just before 3 a .m. ”When you like what you do, it’s no work,” says Blackman. MTU Maintenance and Air Burkina have signed an exclusive three-year maintenance agreement. The contract for the airline’s four CF34-8E engines from their Embraer E170 aircraft covers MRO, on-site services and guaranteed spare engine leasing availability. Lufthansa Tecknik has a 15-year El Al, Israel Airlines, contract for Boeing 787 component support. Turkish Technic has signed a Royal Air Maroc contract to perform two Boeing 767 C checks. Boeing Shanghai has an SF Airlines contract to provide Boeing 737F and 767F heavy maintenance. DHL Supply Chain Division began overseeing logistics for 80,000 parts numbers, components and equipment used for airline maintenance for Cathay Pacific and Cathay Dragon’s aircraft . AAR and FlyDubai signed a long-term contract to provide comprehensive flight-hour components support for its new Boeing 737 MAX aircraft. The Dubai-based airline is set to take delivery of 100 Boeing 737 Max 8 aircraft ordered at the 2013 Dubai International Air Show by the end of 2023. Which US airline has the oldest fleet by age? Answer will be given in my September Report. On October 21st Boeing celebrated the groundbreaking of its new 777X Composite Wing Center in Everett, Wash. campus. Permitting for the new 1 million-square-foot facility was completed approximately seven weeks earlier than anticipated, allowing for an accelerated start to construction. Boeing is investing more than one billion dollars in the Everett site for construction and outfitting of the new building. To date the 777X has accumulated 300 orders and commitments. The Airbus XWB and A330 have been approved for common type rating for pilots training to fly the aircraft. The new regulatory approval means that pilots who are qualified and current on the A330 can start training to fly the A350XWB by undergoing “differences training” only. Differences training does not require the use of ground-based full-flight-simulators and reduces pilot training time to just eight days-as much as 65% less than a standard transition course. 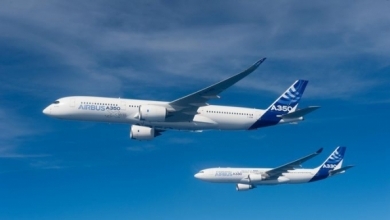 It also means that airlines operating both types of aircraft can create a pool of pilots able to fly both the A330 and A350XWB in a single-fleet flying(SFF) concept, allowing for increased scheduling flexibility and mobility. 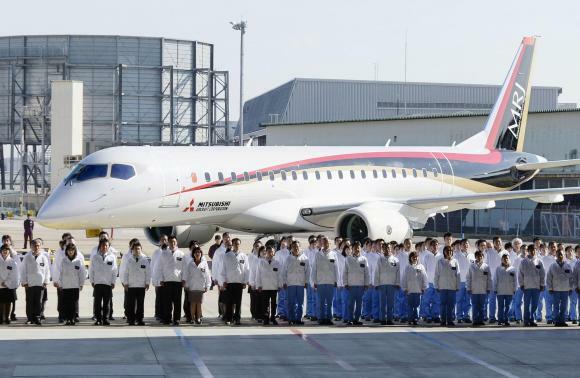 Mitsubishi Aircraft has rolled out its first test aircraft for the MRJ program, in good time ahead of its planned 2Q 2015 first flight. The Japanese airframer showcased aircraft 10001 before 500 guests consisting of government officials, customers and journalists at Mitsubishi Heavy Industries’ Komaki South plant in Nagoya on October 18th. Mitsubishi also hosted a live webcast of the ceremony on its website. The sleek regional jet bears Mitsubishi’s distinctive red, black and gold livery. Mounted on its wings are the Pratt & Whitney PW 1200G engines. This is Japan’s first commercial passenger aircraft to be built in over 50 years, since the NAMC YS-11 turboprop program terminated in 1973. At a press briefing before the roll-out ceremony, Mitsubishi’s chief engineer Nobuo Kishi says the program’s second and third test aircraft are also in final assembly. The second flight test jet is undergoing wing to body join, while fuselage sections of the third aircraft are being fused. Mitsubishi is using a fleet of seven test aircraft-five for flight tests and two for ground tests, for the MRJ program. Gulfstream II have entered a second phase in San Antonio, Texas. The engine which is developed for Dassault’s large-cabin Falcon 5X and the super-midsize Cessna Citation Longitude, remain on track for FAA Part 33 certification at the end of 2015, says Francois Planaud, director general of Snecma’s commercial engine division. ”We are in the middle of the test program and have built up 1,300 test hours, mostly on the ground of course,” says Planaud. In all, eight Silvercrests are running, with the bulk undergoing ground runs in Villaroche and Istres in France. Endurance tests are also under way at Safran’s subsidiary Techspace Aero in Belgium. British travel booker And airline company Monarch has been acquired by investment firm Greybull Capital which will invest $201 million as it turns itself into a low-cost budget airline. Greybull took 90 percent stake in Monarch, with the rest passing to its pension scheme. The agreement will help Monarch take on budget airlines such as Ryanair and easyJet. The deal brings to an end the ownership of Monarch by the Mantegazza family. Greybull considers its ownership of Monarch to be a long-term investment, the statement said. As part of its plan to shift a low-cost budget carrier from its current charter flights operation, Monarch is shrinking its fleet to 34 from 42 aircraft, ending long-haul and charter flights by April and focusing on core European routes. On October 31st Monarch confirmed an order for 30 737-MAX 8s the order includes options for 15 additional 737 MAX 8s. 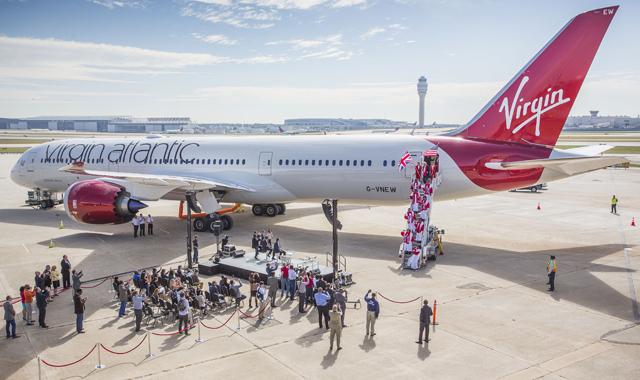 Virgin Atlantic intends to exercise its Boeing 787-9 options and is looking at the -10 variant as a potential replacement for leased London Gatwick-based 747s. Firming of the airline’s four -9 options would bring its 787 fleet to 21 aircraft by the end of 2018, notes chief executive Craig Kreeger. ”We have not exercised those last four options but we are communicating very clearly that we plan to,” he says. Kreeger also discloses that a follow-on order for the largest 787 variant the -10, is being considered as the airline proceeds toward a decision on how to adapt its fleet after leases on seven Gatwick-based 747s expire in 2019. While the-10, with 323 seats, is smaller than the other candidate aircraft, the 777 and Airbus A350, it offers the advantage of fleet commonality and the attendant efficiency in pilot training among other areas, he notes. 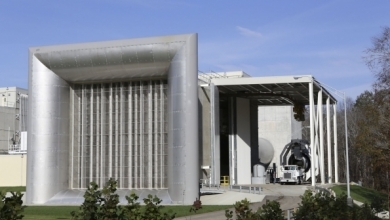 GE Aviation has opened a new indoor engine test facility at its Peebles, Ohio site. The $40 million facility will begin testing production engines by the end of this year. United Airlines said it converted orders for 787-8 Dreamliners to 787-10 models, a move that defers the delivery date to 2022 and beyond from 2017 to 2018 currently. Ryanair confirmed on October 24th that CEO, Michael O’Leary has signed a new 5 year contract which commits him to the company until September 2019. Embraer has cut the first metal component for its E-Jet E2 family of regional jets at its factory in Evora, Portugal. Monarch Airlines confirmed its order for 30 737 MAX 8s which was originally announced at the Farnborough International Airshow in July. Air Canada announced on November 6th an order for two additional 777-300 ERs. Sabena Technics is extending the scope of its activities to overhauls of Boeing 777 aircraft. Sabena will do checks, structural modifications, painting and cabin refurbishment of 777s. China Aircraft Leasing Co.(CALC) has signed a memorandum of understanding (MOU) covering 74 Airbus A320neos, 16 A320ceos and 10 A321ceos. China Express Airlines has placed a firm order for 16 Bombardier CRJ900 NextGen regional jets. 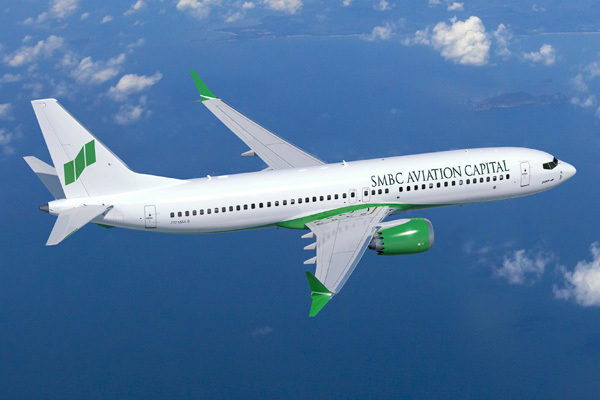 SMBC Aviation Capital announced an order for 80 737 MAX 8s, valued at more than $8.5 billion at list prices. Globalla has placed an order for 14 long-haul 787-9 to be placed with Air Europa of Spain. Globalla is the hospitality conglomerate that owns Air Europa. In Addition Globalia has entered talks with Boeing to acquire the 737 MAX. 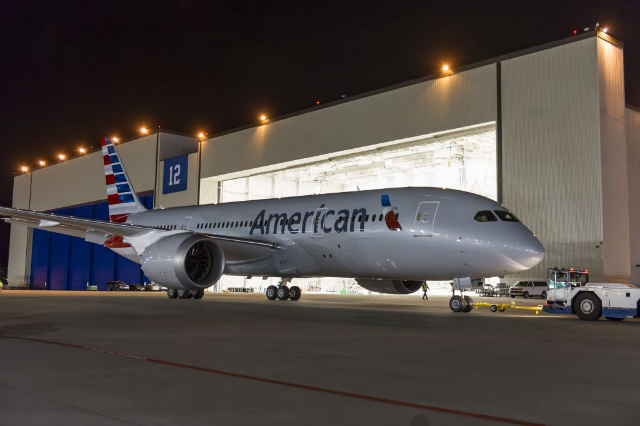 American Airlines the first 787-8 for American Airlines has rolled out of the paint shop at Boeing’s Everett, Washington facility on October 31st.The first American Airlines 787 is line number 241 will become N800 AN (msn 40618) when delivered this month. To assist with the ongoing Ebola virus outbreak emergency in West Africa, Volga-Dnepr Airlines used one of its heavy-lift An-124 Russian freighters to transport three United Nations helicopters from Moscow to Freetown, Sierra Leone. The multi-purpose helicopters-Russian-built Mi-8’s,each weighing 7.3 tons empty-will be used to support the UN Mission for Ebola Emergency Response (UNMEER),which was established in late September to fight the outbreak of the virus. 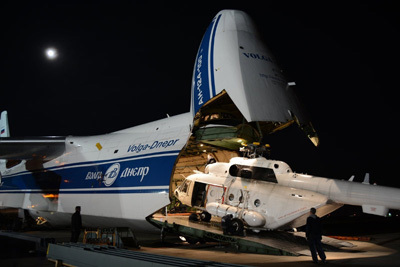 For the October.14 trip, Volga-Dnepr ground handlers made some tricky maneuvers to squeeze all three Russian-built Mi-8 helicopters into the 33 m x 6.4 m x4.4 m cargo hold of the An124. First, they demounted the main lifting and tail rotors, vibration absorbers and fuel tanks. They also removed fluids from the shock struts and wheels, thus reducing the height of the helicopters so they would clear the 4.4 meter-high compartment ceiling. Finally, they aligned the demounted equipment alongside the three aircraft inside the vast main deck.